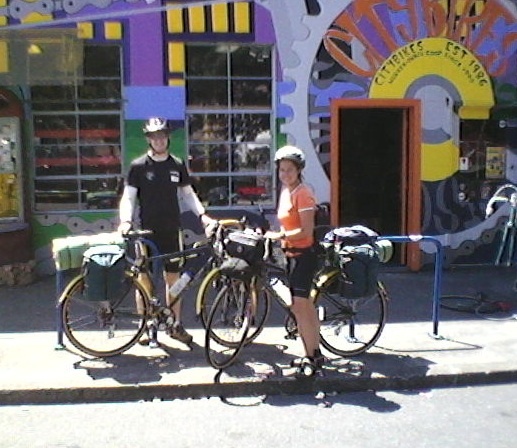 Photos of two intrepid young people — Stephen and Sienna, originally from the UK but now working their way around the world– they bought the bikes from us on Tuesday and headed out on tour to California. When they’re done with their US trip, they’ll box the bikes and take them along to their teaching assignment in Kenya. Amazing. And delightful to boot. They’ve promised to send a postcard along the way.